Defensive driving courses have developed a reputation for helping drivers waive citation fees, reduce automobile insurance premiums, and remove points from their licenses. Drivers with minor traffic infractions can also benefit from these incentives. However, most jurisdictions encourage all drivers, both good and bad, to take traffic courses in order to refresh and reinforce good driving habits. In fact, some states require certain drivers to take defensive driver courses before they can hit the road again. This includes post-deployment U.S. military personnel returning home from overseas, especially Iraq and Afghanistan. According to research conducted by the United States Department of Veteran Affairs and the United States Department of Transportation, the risk of fatality from a motor vehicle traffic accident ranks higher among post-deployment war veterans than civilian related deaths. In addition, studies suggest that Iraq and Afghanistan veterans returning from a combat zone have a 75 percent greater chance of getting into a motor vehicle accident than the average driver in the United States. This astonishing data has prompted cause for concern, including efforts to reintegrate soldiers back into society and driving on U.S. roads safely. Driving in a combat zone differs vastly from civilian roads in the United States. The majority of active and post-combat military personnel learned unpredictable offensive driving habits meant to keep others off guard. These driving habits can lead to serious consequences at home, including traffic tickets and death. Common offensive driving habits to avoid may include driving unpredictably, driving off-road, driving in the middle of the road, speeding, running red lights, tailgating, sudden lane changes, and swerving unexpectedly. Defensive driving attempts to achieve the opposite by following state traffic laws, remaining predictable, and being courteous to other drivers on the road. Using cell phones, speeding, driving while intoxicated, and failing to buckle up can lead to traffic accidents and deaths. Avoid road rage at all costs. The Department of Motor Vehicles (DMV) defines driving as a privilege subject to suspension if drivers fail to operate their motor vehicles safely and within the confines of the law. Drivers that break traffic laws have a higher chance of collision. Common causes of traffic infractions and collisions include moving violations, distracted driving, driving under the influence, and driving while fatigued. Most drivers can avoid these situations by utilizing the skills learned in traffic school. Active duty and post-deployment military members can inquire about specific driving courses aimed to get them back onto America's roads safely. These may include defensive driving, driver improvement, driver awareness, and remedial courses. Other courses may address the necessary skills for operating a commercial motor vehicle (CMV) within the United States. Each branch of the military offers a comprehensive driver's education program designed to reintroduce civilian traffic laws and driving habits for enlisted members and post-combat veterans. Some branches require enlisted members to attend a defensive driving course if they have not already completed one, such as the United States Coast Guard. The United States Marine Corps offers defensive driving, accident avoidance, driver awareness, and remedial courses for post-combat veterans. 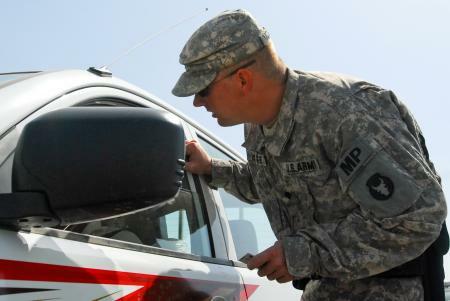 The United States Army also offers the same programs with the effort of reintegrating soldiers back into society minus the aggressive driving habits. Other branches of the U.S. military offer similar courses with hopes of lessening the rate of traffic infractions and accidents among active duty, reserves, and post-combat veterans.